My name is Conrad. I like to listen to music, a lot, pretty much most of the time. I take photos. I started taking photos in 2014 with my cell phone. I took cell phone photos of stuff cuz I used to be, maybe I shouldn't say "used to be", lazy about appreciating things and to get out of my comfort zone, trying to take cool photos has helped me with these things. I also find it interesting how smart phones usually take people out of the present moment, but I wanted to use it to help me notice more moments and appreciate the present, and because I wasn't trying to have an excuse like not being able to afford a real camera. Usually, I would go on walks around Pittsburgh and snap pics, so I tend to take photos of the city, but now I also photograph other things. 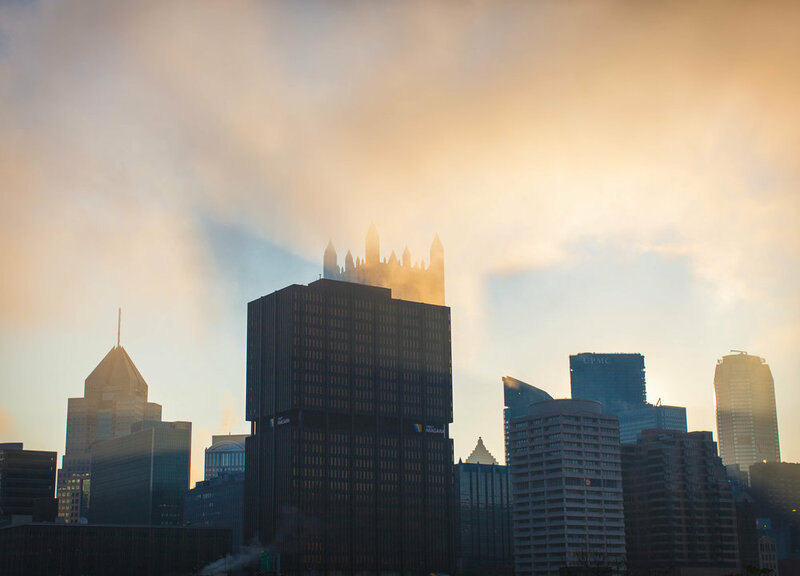 I moved to Pittsburgh from Florida in 2012 after college because, well... Pittsburgh is the dopest. When I got here I confirmed my only hesitancy of moving, which is I don't like the cold, so I also grew a beard. I take photos of Pittsburgh and print them.